Mike LeFevre and his son, Jordan, are carrying on a rich legacy which began in 1921. 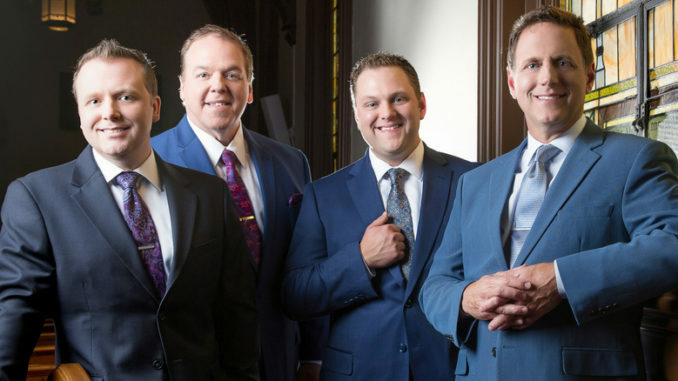 Though the group name, the LeFevres, was retired in 1977, Mike brought the LeFevre name back to the forefront in 2005 when the LeFevre Quartet was born. 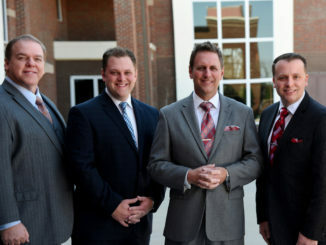 Though the group has had several personnel changes through the years, today consisting of Mike and Jordan at baritone and lead respectively along with tenor, Jeremy Peace and Keith Plott on bass, the group has molded itself into one of the strongest sounding male quartets on stage today. James Hales: The LeFevre name has a rich history within gospel music. With such a huge legacy behind you, does that put a lot of pressure/expectation on you to “uphold” the family name? Mike LeFevre: The LeFevres were trend setters in Gospel music, ushering in new styles, songs and talent since their beginning in 1921. For me, the expectation has always been to uphold this same ideal and carry on that tradition. To try and not live in, but to honor the past. JH: In regard to the legacy tied to the LeFevres, what legacy do you hope to leave behind? Jordan LeFevre: As the LeFevres before us, we hope to leave behind the legacy of our current music. 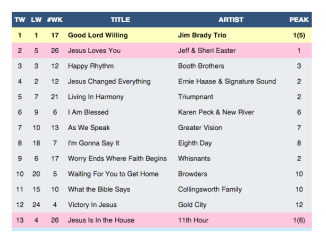 Especially with this latest album, we’ve selected songs that we pray will touch many lives and leave a lasting impression for many generations to come. JH: Outside of that legacy, what sets the LeFevre Quartet apart from every other quartet out on the road? ML: That’s a tough question because we hope we all have the same goal to be ministers and help those who need uplifting, but some things we are trying to focus on that maybe not “separates” us from other quartets, but just makes us “us” is that we always want to be found approachable and friendly. We are trying a few small things musically that really seems to be going over very well with everyone, and has allowed us to think a little outside of the box. Jeremy is still able to sing in his upper range, but this new album has allowed him to showcase his lower register as well. This album has really pushed Jordan to the forefront and has shown a mature side to his voice that many haven’t heard as of yet. Keith is really cutting through in the mix on this project and just the polish and quality of his voice puts the icing on the whole CD. I think having all these qualities and just being who we are sets us apart from many of the other groups. JH: What’s like traveling together as father and son? JL: It has allowed us to share a common bond as we are best of friends and have been together in this since the start. Dad raised me up in this and I’ve followed along in his footsteps to carry on the legacy. JH: Any interesting stories you can share? JL: It’s always so interesting how almost every time a new CD comes out, people get my dad and I mixed up on who sang which song. Several reviewers have my dad singing a song that I actually have the lead on all the way through the whole thing! JH: When the group first started, you guys had more of an MOR/Inspirational feel, but over time the group seemed to gravitate to its “LeFevre” roots with more of a SG quartet sound. JL: This is mainly attributed to the vocal lineup we had at that time. Vocally, we seemed more fitted for that particular style back then. But over the last 2-3 years we’ve gained personnel who can vocally handle a more SG quartet driven sound, which at heart is where we desired to be. JH: Was there a defining moment that caused that shift or was it just a natural progression over time? ML: It was both. Having to find what works with different vocals when you are arranging songs for vocalist, you discover you can do certain things you couldn’t do before. We realized when we gained Jeremy Peace and Keith Plott, that we could put Jordan up into a higher register where he wasn’t having to sing so low and he could add more power and edge to his voice. This in return gave us a more “driving” sound. This also meant that we could sing more powerful songs, bigger ballads, faster energetic tunes with higher endings and add some excitement to our programs each night. That was the defining moment. The natural progression was realizing you have a core audience you sing to each week. They come to see you and hear your music. Grow upon what is working for you. Build on that core. But don’t lose that core because you changed what made that core audience love you. If they loved you because you sang Southern Gospel music, stick with that style. Over the past 3 years we have built upon this philosophy. Don’t change who you are. JH: Your newest recording has caused quite a bit of excitement and has been met with positive response from the industry and fans alike. What was your mindset/goals when you first started diving in working on this recording? JL: We wanted this to be the recording that defined who we were from this point forward. We wanted songs to reach people from every walk of life, in every situation and at every age. We wanted something for everyone on this project. JH: Is there a story behind the title, Ascending? ML: Though this group has been traveling since the early 2000’s, we feel this combination is where the Lord has his hand. This is the beginning for us as we ascend and move forward in ministry. JH: What are your favorite songs from the new recording and why? JL: “A Rugged Old Cross”. We begged Gerald Crabb and Dianne Wilkinson for over a year to keep it on hold while we worked out all the details with Daywind and the record contract. We knew this was such an amazing song and they graciously held it for us. It is one of, if not the strongest song we’ve ever recorded. ML: “Only Jesus”. We are seeing such a move each night when we close a service with this song. We weren’t really planning on using this song to usher in an alter call but giving a testimony before hand and then the song, people are moving. It’s refreshing to see people respond. JH: What do you do to keep yourselves fresh spiritually, vocally and musically? ML: Spiritually, we have bible study each day on the road and discuss the topics openly amongst ourselves. We are very open and accountable to each other and we share our burdens and pray for one another. We have vocal coaches we can call or visit to keep ourselves fresh vocally and of course we listen to so many different groups and artists to keep ourselves musically entertained and enlightened. JH: What is the craziest thing you have done on stage? ML: Jeremy usually keeps us entertained on stage with his jokes and horrible timing at telling the worst possible joke at the worst possible time. If you see him, you would have to ask him about this as he will know exactly what I’m talking about! JH: What are your visions and dreams for the LeFevre Quartet in the future? Jeremy Peace: We are working hard at the moment in several different areas of growth; musically, marketing, social media, promotion, tour support. All of this to tie into making sure each night we sing that the venue is full and we are able to present the Gospel to as many people as possible. That is our ultimate vision and dream for the future. JH: What is God teaching you right now? ML: God is teaching us to be prepared as we grow closer to Him and go further into the music ministry. So many things can and will come our way that will try to distract and destroy. We must put on the full armor of God. 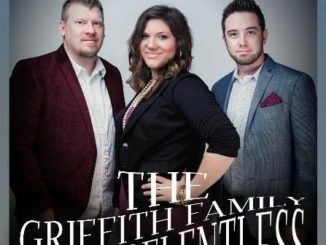 For more information on the LeFevre Quartet and their new recording Ascending, visit them online at www.thelefevrequartet.com.